In Seattle, a motorcycle away from the crowds can bring a welcome reprieve to the hustle and bustle of the city. Leave civilization behind, and you’ll be greeted by open pavement and winding roads. Biking can be a rewarding hobby, but most bikers know that it’s also a hazardous one. Motorcycle accidents have increased across the country, experiencing a 7.1% increase nationwide since 2012. Statistically speaking, a person is 30 times more likely to die in a motorcycle crash than in a car. How do I recover compensation after a motorcycle accident? Do I have a case? Contact a Motorcycle Accident Lawyer Today! If you’ve been injured while riding your motorcycle, we’re here to help. Contact Colburn Law today for a free initial consultation. Since insurance companies associate motorcycle riding with rebellious behavior, victims of crashes often must fight to get fair compensation. If insurance companies are treating you like the guilty party instead of the victim, you may need to speak with an attorney. Motorcycle crashes don’t necessarily occur more often than other types of accidents, but they tend to result in more serious and fatal injuries. While it’s important to know your legal options in the event of a collision, it’s even more important to arm yourself with knowledge about how to prevent these incidents. Reviewing motorcycle facts, statistics, and laws in Seattle can help you stay safe on the Emerald City’s urban and rural roads. See a Doctor. If an ambulance arrived, let the medic give you a once over, but also see your primary physician as soon as possible after the crash. Not only will it help you recover, it will prove your injuries were significant. Have someone take pictures of the accident scene. If you’ve been seriously injured, chances are you’re not feeling well enough to whip out your smartphone and take pictures. If possible, have a loved one take pictures of the damage to your vehicle, your injuries, and the accident scene. Don’t hurt yourself further trying to document the scene, however. You insurance company and the police will likely have pictures of their own. Don’t sign anything unless it’s been reviewed by an attorney. An insurance company may approach you with an offer. A word of caution: These are often less than what you deserve. Don’t sign anything unless it’s been approved by your personal injury attorney. The exception to this rule is signing the police report. 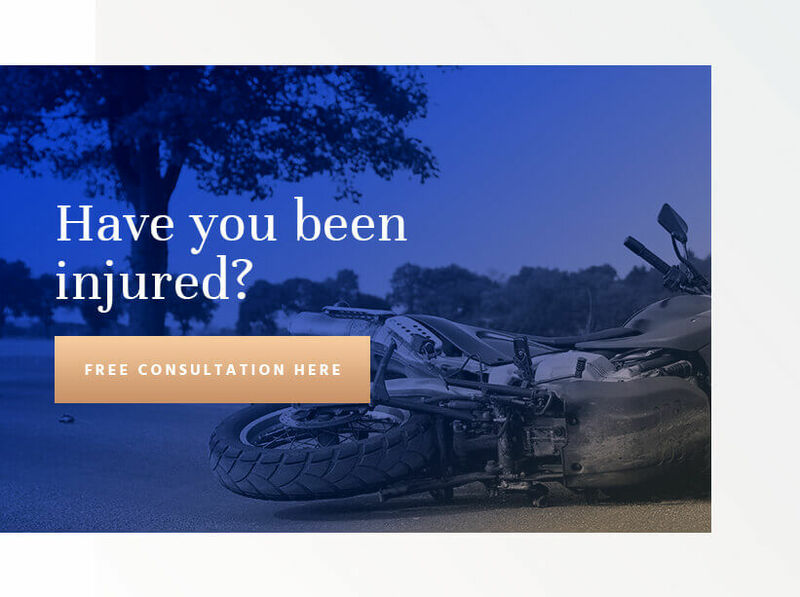 If you’ve been injured in a motorcycle crash, the most proactive step you can take is to hire a personal injury attorney in Seattle. While the state of Washington mandates minimum amounts of insurance coverage for motorists, these limits are often not enough to fully compensate for the extensive injuries of a motorcycle crash. The other driver owed you a duty of care. All drivers must be reasonably careful on the road by following traffic laws, so anyone who collided with you owed you a duty of care. They breached their duty or committed negligence. Examples of neglectful behavior might be speeding or driving under the influence. Their negligence led directly to your injuries. If someone is texting while driving, it’s dangerous, but it only matters to your case if the person who hurt you was texting at the time of the injury. You incurred significant damages as a result. Any collision could mean serious medical bills and time missed from work, and this is especially true of a motorcycle injury. A motorcycle injury settlement will not only compensate you for your tangible expenses, but it may also provide recourse for non-economic damages such as emotional distress and the pain of your injuries. What If I Share Fault? The state of Washington has its own rules regarding shared fault in motorcycle crashes. These are called pure contributory negligence rules. 10% of $500,000 = $50,000 and $500,000-$50,000 = $450,000. To collect compensation, you must be 50% at fault or less. If you’re 51% at fault for the accident, you won’t be eligible to seek damages under Washington’s shared-fault laws. Licensure and training. The state of Washington makes license endorsement mandatory to ride a motorcycle in the state. Endorsed riders are statistically less likely to be involved in collisions. You may purchase and register a motorcycle without license endorsement, but may not operate them without license endorsement. Attending an approved motorcycle training school can also reduce the risk of accidents. Helmet laws. Seattle motorcyclists must obey the statewide universal motorcycle helmet law. This law states that all motorcycle riders and passengers must wear helmets that meet the U.S. Department of Transportation standards. All riders, regardless of age, must comply with the helmet law. Failure to wear a helmet could affect your settlement in the event of an accident. Driving under the influence. With a high rate of intoxicated motorcyclists getting into fatal collision in Washington, it’s important to recognize the laws relating to drinking and riding. It is illegal to operate a motorcycle with a blood alcohol concentration (BAC) level of 0.08% or higher. Note that you can still get into trouble for driving under the influence with a lesser BAC if you’re drunk enough to impair operation of the vehicle. From July 29 to August 14 every year, the state of Washington will increase the number of motorcycle safety patrols on the roadways in King County. Since motorcycle collision rates rise during the summer, extra patrols during this time will hopefully increase safety. The patrols will watch for illegal behaviors that put motorcyclists at risk, handing out fines and citations as necessary for traffic infractions. Motorcycling safety precautions can keep you safe and out of legal trouble in Seattle. 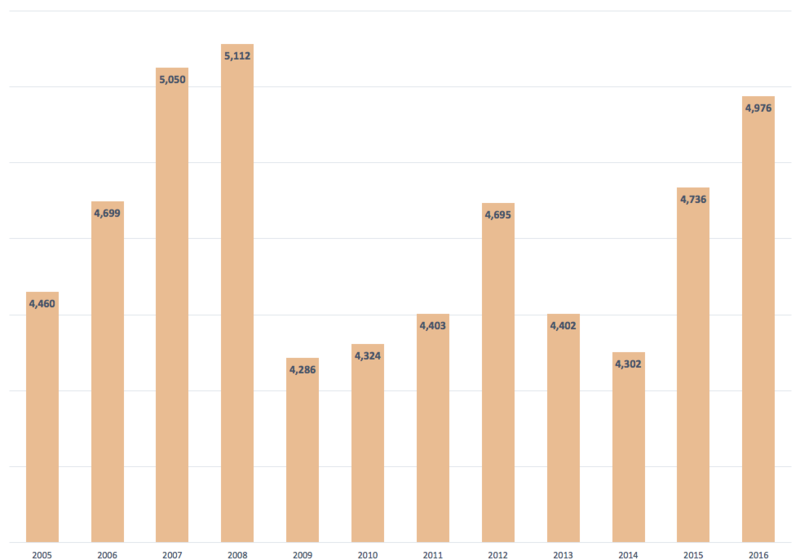 According to data reported by the U.S Department of Transportation, between 1998 and 2008 there was a steep increase in the number of motorcycle fatalities on roads across the U.S. Following a few years of decreased fatalities, there seems to be a rising trend in the number of fatal motorcycle accidents since 2014. Rider error. Many motorcycle accidents trace back to the rider’s fault. Motorcyclists might not have enough experience or training to safely control their bikes, especially in poor weather conditions or in the face of roadway hazards. Operators may also engage in dangerous practices such as speeding, lane splitting, and drinking and driving. In a Washington Traffic Safety Commission review, 57% of motorcyclists involved in fatality crashes were under the influence of drugs and/or alcohol. Driver error. Motorcyclists aren’t the only ones to blame for collisions. Negligent and careless motor vehicle drivers cause a large percentage of these crashes. Motorcycles are more difficult to see and require driver vigilance. Drivers who are texting, eating, chatting, or otherwise driving distracted can easily miss motorcycles, turning in front of them or merging on top of motorbikes. Other drivers’ errors can seriously injure and kill unsuspecting motorcyclists in Seattle. Unsafe roadways. Seattle’s roads can pose significant threats to riders. Potholes, loose gravel, construction site equipment, debris, fallen trees, rain, and ice can all cause serious motorcycle crashes. These single-vehicle crashes may come down to city liability for unsafe roads. Pursuing a claim against the city requires special filing deadlines and requirements, since you’re suing a governmental body. Speak with an attorney no matter what caused your recent motorcycle collision. You could be eligible for compensation from one or more parties, depending on the circumstances. You could have a case based on negligence, premises liability, or product liability (if your bike had a defective part that contributed to your injuries). A good lawyer can make all the difference in complicated motorcycle accident cases.